I swear that I first heard this as a beat someone else was rapping over but didn't know it was Major Lazer's song. I've been listening to Saxon for almost fifteen years and I still love them as much now as I did then. They make cliched look good. 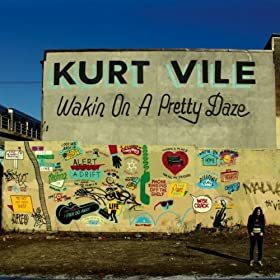 Another listen to the new Kurt Vile. It's funny that someone as young as me also feels nostalgic about a band that formed a decade before he was even born. Oh thats funny alright. Actually it's kinda cool. I was just going through my ext HD music collection, looking for some old-ish metal, and the only Saxon I have is "Crusader". For shame. Krokus, Queensryche, and some Suicidal will fit the bill nicely though. No Wheels of Steel? No Strong Arm of the Law? No Denim and Leather? You make me sad.